1. Sift flour, white sugar, soda, salt, baking powder, and spices into a large mixing bowl. Mix in 1/2 cup butter or margarine, buttermilk, and applesauce. Beat for 2 minutes with an electric mixer on medium speed. Beat in eggs. Fold in 3/4 cup chopped nuts. 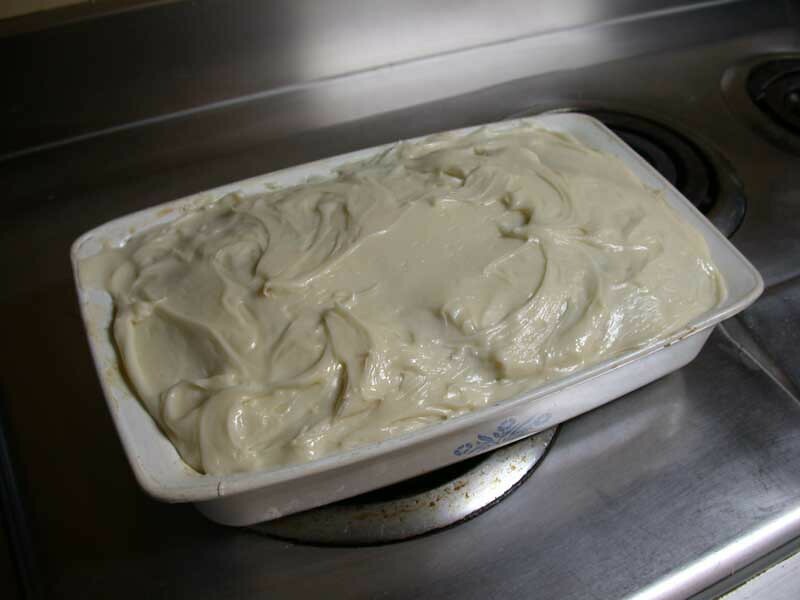 Pour batter into a greased and floured 9 x 13 inch pan. 2. Bake at 350 degrees F (175 degrees C) for 50 minutes. 3. Mix confectioners' sugar, cream cheese, and vanilla until smooth. Frost the cooled cake.